I did not request this painting, I swear. 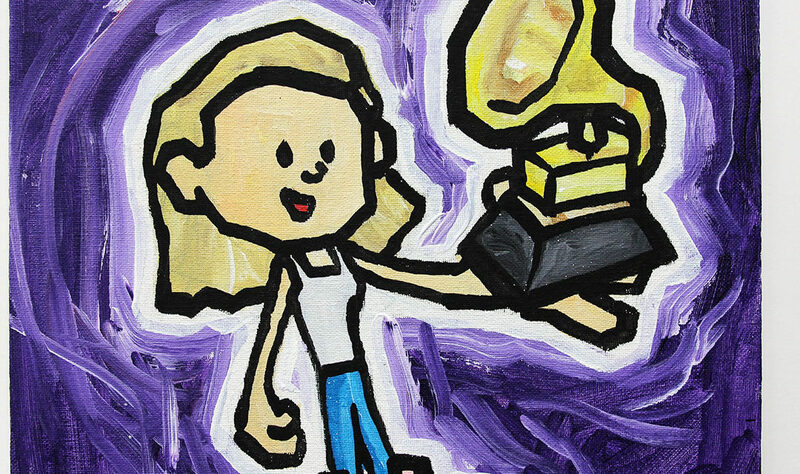 Someone from the internet decided I should be depicted receiving a Grammy Award. Sweet! And clearly I would be at the awards show in a wife beater, jeans and mismatched shoes.